Dark Circles are a huge concern to an affected person, it’s an issue that people seek to resolve and have a clearer smoother and even skin tone [colour]. Caveat Emptor: Always seek medical advice to any possible concern of yours and be conscious of any information received online. Should in any case you notice any irritations please stop the application(s). Apply a little almond oil on the affected area. Grind fresh Tomatoes and apply the juice on your dark circles. Dip Tea bag in a luke warm water and place it on the affected part. 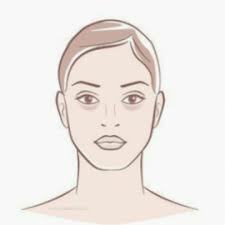 Grate some potatoes and extract the Juice, now apply the juice on your dark circles. MIX Orange juice and glycerine together, apply the mixture on the dark circles. Cut some thick slices of cucumber and place them over your eyes. MIX 1 tablespoon of Almond oil and few drops of fresh milk and apply on the affected area. Mix some mint leaves and few drops of water to form a paste and apply it on the affected area. Use a cotton wool or balls, dip the wool inside a cold milk and place it on your dark circles. Dip a cotton wool or balls in a Rosewater and place it on your dark circles. alternatives at return. This can prove to be vexing. I am a working mom and I am unable to take a proper care of my skin. So for that, I always follow the small steps which are essential to our skin. Sunscreen is the most important product you must use. Exposure to the sun can damage your skin which can form wrinkles and fine lines. Prolonged exposure can also lead to dark spots or patches.